To bring luxury swimwear by trendy beachwear labels to Europe, was the vision of the German entrepreneur Karin Glück. In our online shop you will find hot bikinis and beachwear trends that are also much-coveted by Hollywood celebrities. 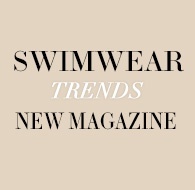 Find out in our fashion magazine which swimwear designers and outfits are just hitting the beach! Enjoy a shopping spree in our online shop. We offer an exclusive designer swimwear and trendy accessories and monokinis. Also airy caftans, summery dresses, cute skirts, gorgeous tunics and other beachwear accessories such as tops, jumpsuits and mini-jumpsuits and trendy hats are part of our current swimwear collection; Fashionable but also brazilian bikinis, swimsuits, shorts and pareos for demanding ladies with style. Our stylish beach pants are also ideal on hot summer days and for chilling out on the beach. You can also find the matching sandals and trendy toe sandals. BeachFashionShop.com - your Online Shop for exclusive swimwear and bikinis!